Get ready to make your Getaway. Another brand new game mode is making its way to Fortnite Battle Royale this week as part of the recently-announced High Stakes event. Getaway gives teams the opportunity to fight for safes with prizes locked inside. It will be accompanied by special cosmetics, challenges, and the new Grappler item. Take a sneak peek at all three right here. Epic understands that players can’t get bored of a game that always offers something new. That’s why limited-time game modes are introduced to Fortnite every week for us to enjoy. This week’s game mode is Getaway. Getaway sees four safes, each containing a prize, loaded into supply drops that fall throughout the match. Each team must fight for a safe, claim the prize inside, then make their getaway. It’s not yet clear what kind of prizes Epic plans to give away. The safes could be loaded with exclusive items that you can’t obtain elsewhere, or they could be packed with V-Bucks that you can spend on whatever you like. 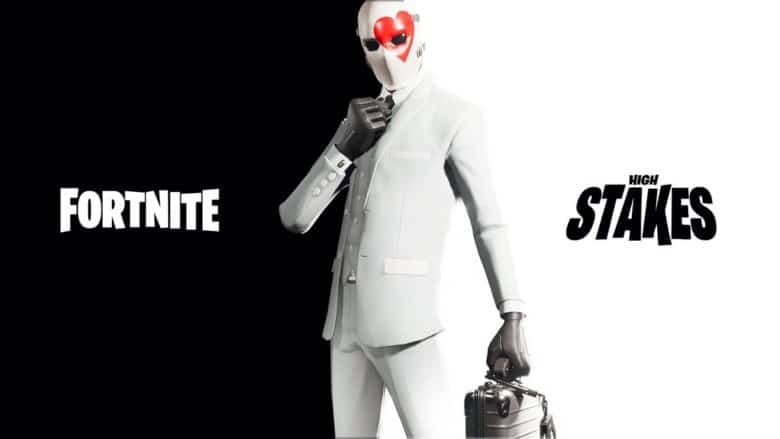 To celebrate Getaway, a new Wild Card outfit will be available from the Fortnite item shop at some point this week. Epic is also adding a new item called the Grappler that gives players another new way to get around. The Grappler, like Batman’s grappling hook, but made from a motor, toilet plunger, and some rope, lets you attach yourself to structures and quickly zip to them. Each carries ten charges, but it’s unclear if there will be a way to refill them. Here’s a clip of a player using the Grappler while wearing the Wild Card outfit while in the Getaway game mode. Look out for these items in this week’s Battle Royale update, which should be available on Tuesday, September 4 across all platforms.